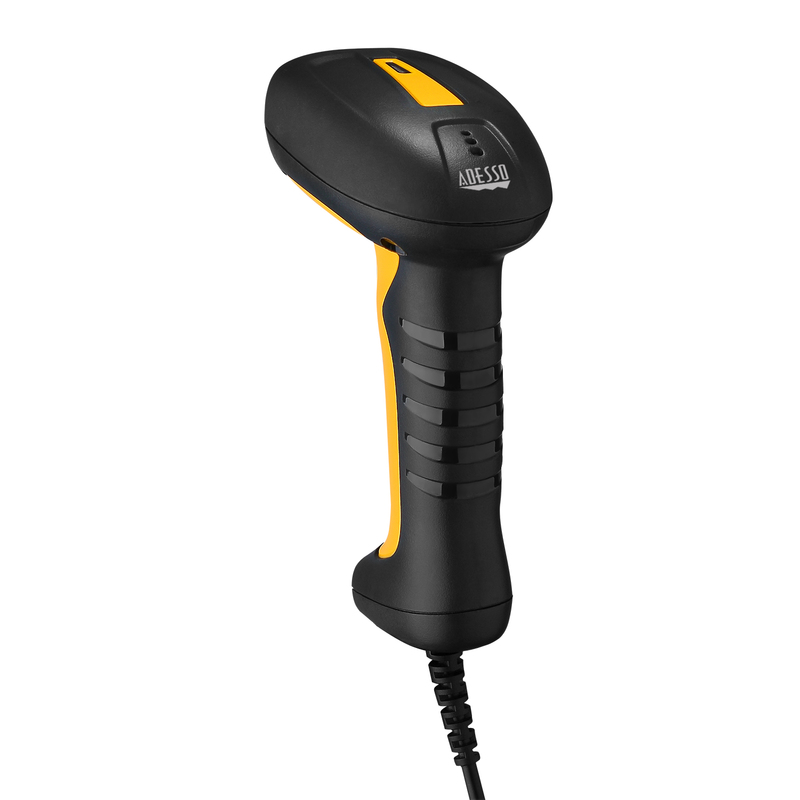 The sturdy, reliable Antimicrobial Waterproof Adesso NuScan 2400 Barcode Scanner delivers superior performance and versatility for industrial environments. 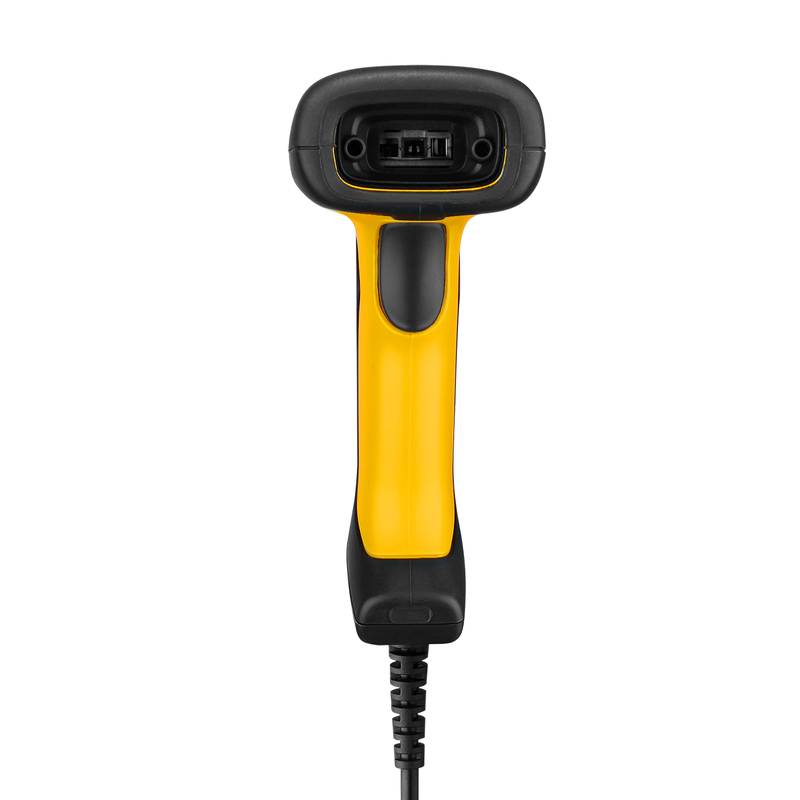 Whether in a medical, manufacturing, warehouse, or retail environment the Adesso Waterproof Barcode Scanner offers durability, accuracy excellent reliability and a user-friendly easy to hold comfortable handle which adds for a more productive mobile environment. 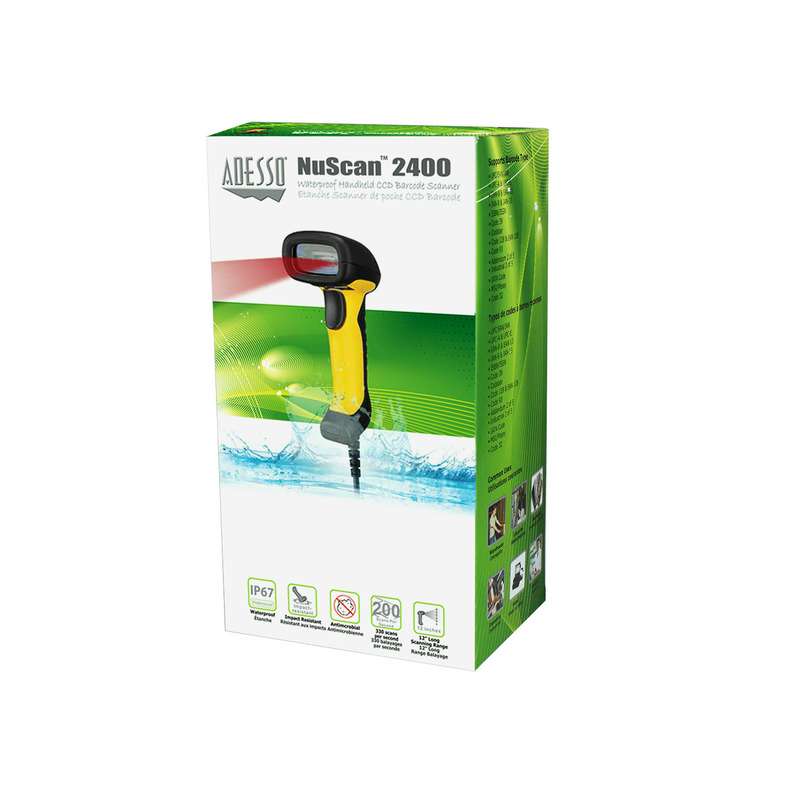 The Adesso Nuscan 2400U withstands accidental drops from up to 20 feet and is standard IP67 which is waterproof and dustproof. 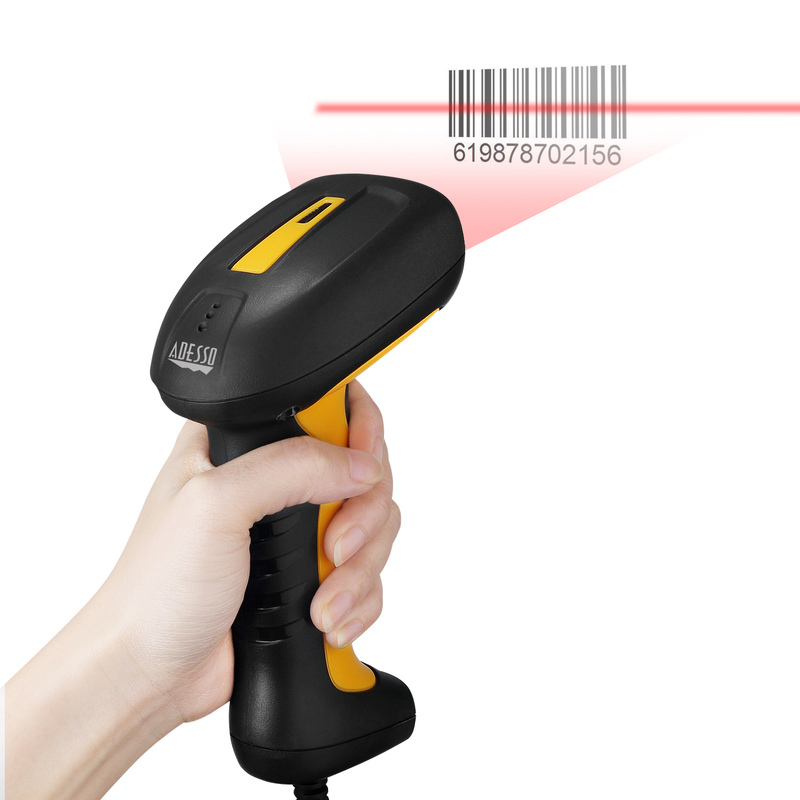 Scan from up to a foot away from your barcode, in a dusty warehouse, drop it accidentally or even submerge it in water for 30 min, and you still would not be able to break this scanner’s productivity, reliability or durability. IP67 Rated. Sealed with a silicone plastic material, this scanner is 100% waterproof and can be cleaned with soap and water or other liquids cleaners. 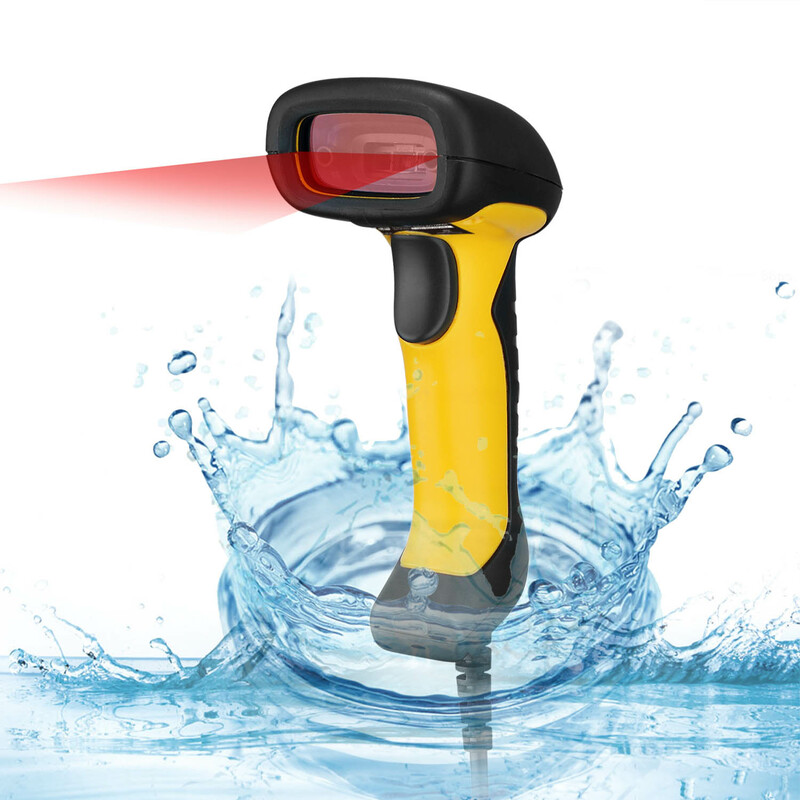 Ranked as a IP67 Waterproof Standard, this device can withstand being submerged in water for up to 30 min up to a 3 ft depth. The Nuscan 2400 is made with antimicrobial material which prevents the growth of harmful bacteria and protects against the buildup germs. 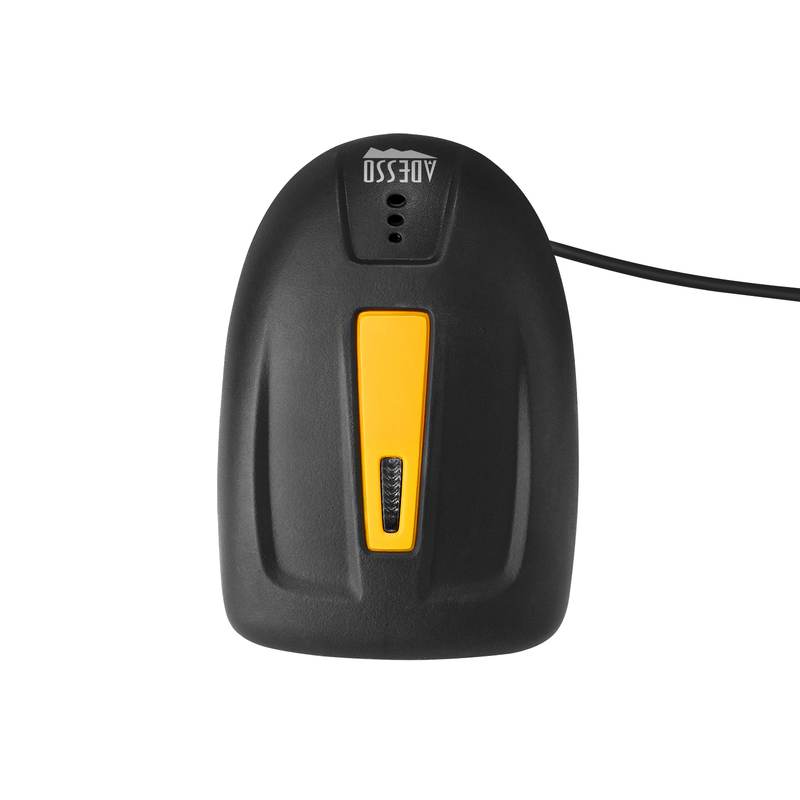 With the scanner’s durable CCD sensor engine design and its durable silicone plastic material, it makes the Nuscan 2400 less likely to become damaged due to accidental drops from as high as 20ft off the ground. The CCD sensor can scan the majority of 1D symbologies at a comfortable distance of up to 12″ away. 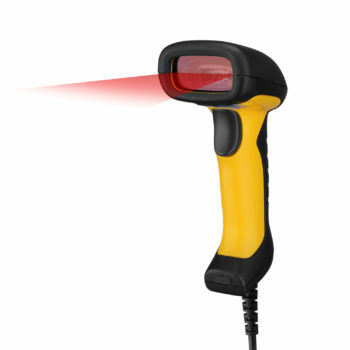 The 200 scans per second rate offers fast and accurate scanning results for faster productivity and reliability. The CCD sensor allows a wider and longer scan field of up to 12″ of scanning range.